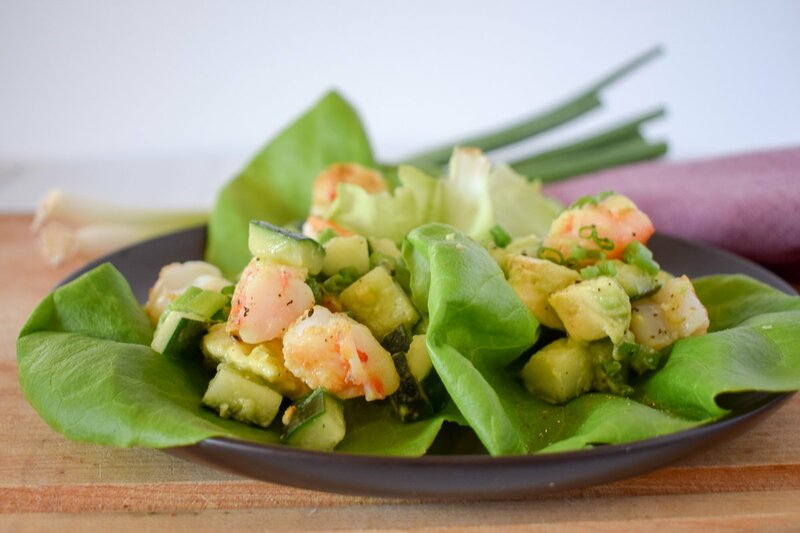 These Shrimp Lettuce Wraps celebrate spring and summer vegetables – crisp cucumber meets creamy avocado for a light and healthy meal that is ready in less than 20 minutes. Heads up: This post contains affiliate links, which means that if you decide to purchase any items, I may make a commission at no cost to you. I only endorse products I know and love! Real talk: I live on the top floor of a walk-up building with limited A/C, so my summer recipe repertoire can be pretty limited. Most days, the oven is out of the question. Sometimes, even the thought of turning on a burner to cook anything is too much. Let’s just say we eat a lot of salads in the summer and unwilling find ourselves on a “raw diet”. I also find myself permanently stationed in front of a fan with a glass of rosè in hand. These Shrimp Lettuce Wraps offer a fun and interesting take on what could otherwise be a boring salad. Sure, you could just serve this in a bowl and eat it with a fork… but why would you? Shrimp are quick-cooking, so the stove only needs to be on for a few minutes, and the recipe comes together in a snap. 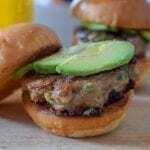 As an added bonus, this meal is light and loaded with healthy fats, protein, and vitamins. Though the Shrimp Lettuce Wraps are not vegetarian, they do feature many of the season’s best vegetables. My local farmer’s market had some great lettuces and cucumbers, so I knew I had to do something with them. A splash of this, and a pinch of that… the Shrimp Lettuce Wrap is born! Pro-tip: when you head to the farmers market this season, tuck some reusable produce bags in your tote bag to eliminate using plastic bags. Any dirt stays out of your beloved tote bag, and Mother Earth breathes a (very short) sigh of relief. In this recipe, I used fresh, uncooked shrimp. If you have frozen, pre-cooked shrimp on hand, that would work as well. 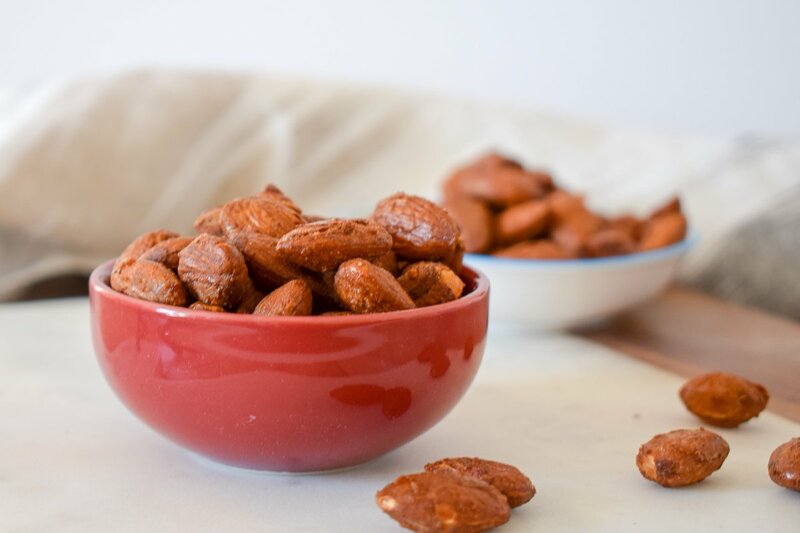 I still recommend searing them in a pan, but if you really don’t want to turn on the stove – don’t worry about it too much. 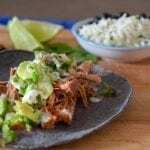 What are your favorite summer recipes? Let me know in the comments! 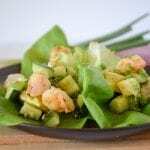 These Shrimp Lettuce Wraps celebrate spring and summer vegetables - crisp cucumber meets creamy avocado for a light and healthy meal that is ready in less than 20 minutes. In a medium bowl, combine the diced cucumber and avocado with the rice vinegar. Toss to combine and season with salt and pepper to taste. Use paper towels to completely dry your shrimp. Season with salt, pepper, and the red pepper flakes, if using. Place a large, non-stick skillet over medium-high heat. Add a drizzle of canola oil to the pan. 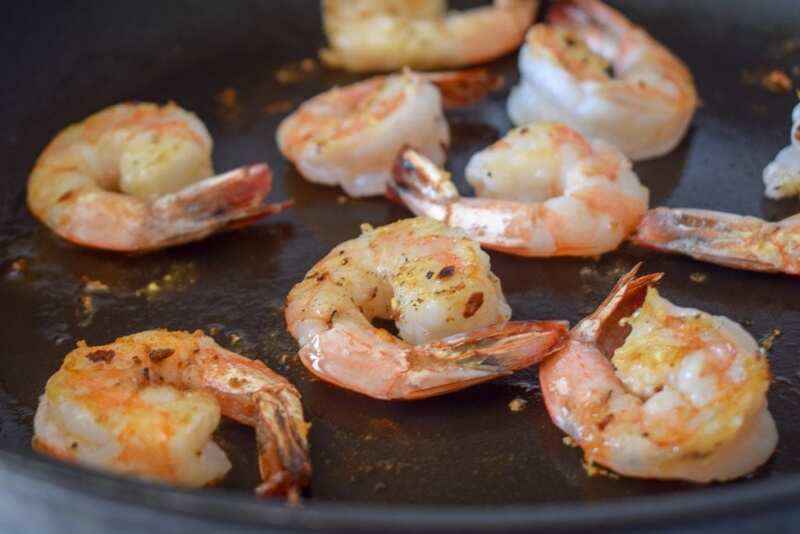 When the oil is ‘shimmering’, add the seasoned shrimp to the pan in a single layer, working in batches if necessary. Cook the shrimp about 2 minutes per side, until the shrimp are opaque and cooked through. (Exact cooking time will depend on the size of your shrimp.) Remove from the heat and allow to cool slightly. If your shrimp are on the larger side, roughly chop them so they are a similar size to your diced cucumber and avocado. 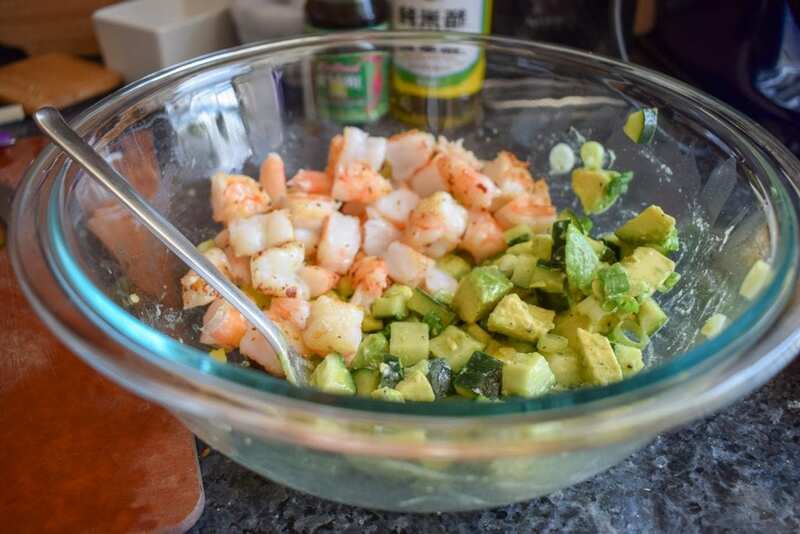 Add the cooked shrimp, scallions, and sesame oil to the bowl with the cucumber and avocado. Toss to combine. Place 2-3 butter lettuce leaves on each plate. (2 if the leaves are larger, 3 if they are smaller.) Carefully scoop the salad mixture into the center of each leaf. 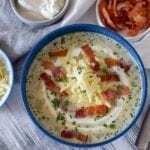 I used fresh, uncooked shrimp in this recipe, but frozen, cooked shrimp would work as well. I still recommend the searing step to build flavor! This is a great dinner idea for summer! Shrimp cooks up so quickly without making the kitchen super hot. I love using sesame oil too, it adds so much flavor! We just made a shrimp dish today. I think I would rather have had this. It looks so fresh and simple to make. 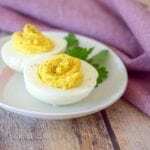 Great for a quick and healthy lunch. Next time, we’ll be making this when we want shrimp! 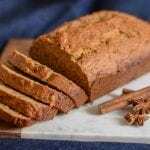 I love food and easy recipes. 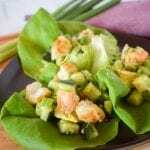 These shrimp lettuce wraps deliver a great meal and healthy too! Love that you added avocado and some spice from the pepper. I love lettuce wraps, and this shrimp looks like a perfect filling. This is going to be added to my summer recipe list. Awesome! How did it go? 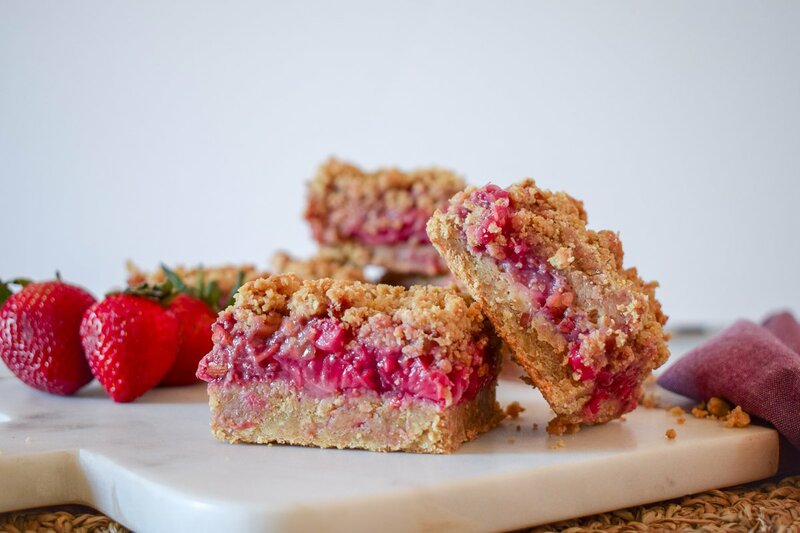 This recipe looks PERFECT for summer! I’ll definitely be making it for lunch very soon. Yum! Shrimp is one of my favorite low carb ingredients and these wraps look delicious! Mine too! And they cook so quickly! Lettuce wraps are kind of my new obsession! I have never tried them with shrimp though, it looks sooo delicious!!! Quick,easy and perfect! 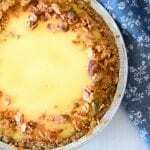 Great dish for those summer days when you don’t want to use your oven. İ love lettuce salad idea. Great for small party and gathering. your salad looks refreshing this summer and light up to another level. Love it! Thank you! And yes – perfect for a crowd! Yes! I love the little crunch it gives.